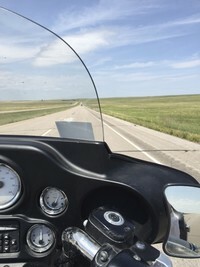 Each year the world comes to South Dakota at the Sturgis Motorcycle Rally. What a wonderful opportunity to share the Good News of Jesus Christ through various venues in the Black Hills. The Dakota Baptist make their presence with the Bike Giveaway, the Christian Motorcyclists Association (CMA) can be found all over Sturgis and throughout the Black Hills doing ministry, one heart at a time. The Hellfighters can be found at "The Cross" (can't miss it), and there are many other Christian groups sharing their faith. No question, Sturgis in August is a wild and wooly affair but an exciting Gospel opportunity for followers of Jesus Christ.